So below I have three images. 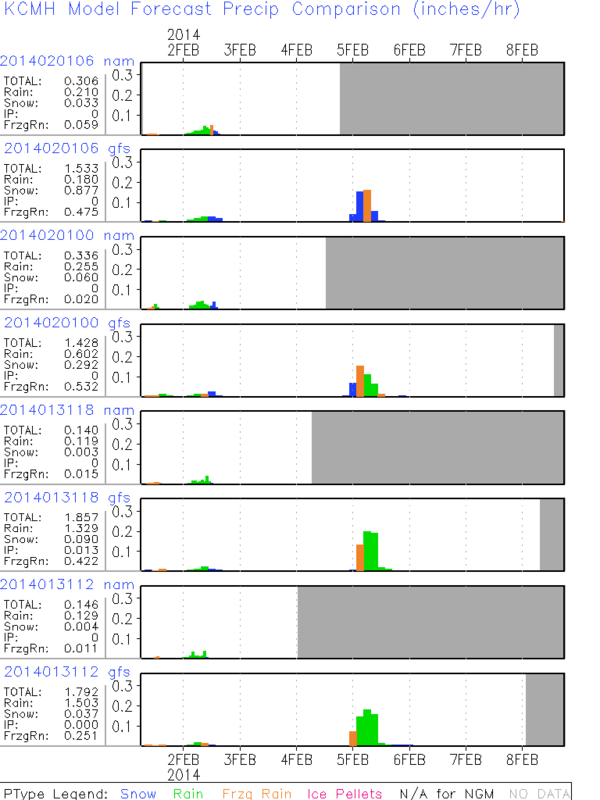 The top image is the NAM and GFS precipitation outputs the last four model runs each for Columbus. 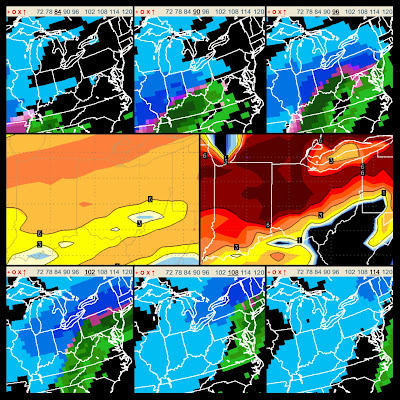 The upper part of the image is the most recent so you can see the GFS has been trending colder and colder the last four runs. NAM is not yet on the chart but it will be soon. 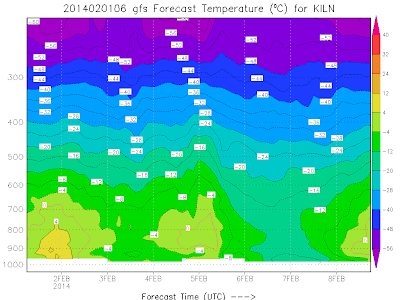 The next image is the temperature profile for Wilmington. 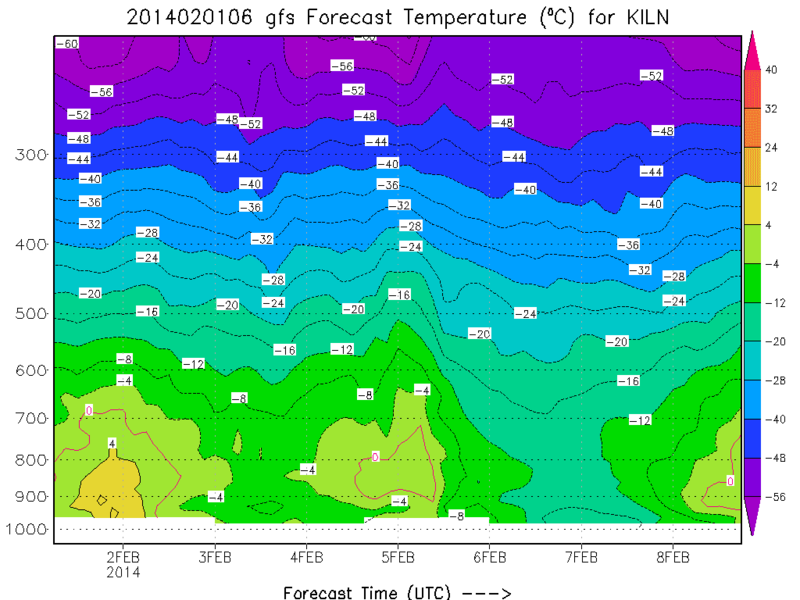 Notice how there is the warm pocket of air late Tuesday and Wednesday. That's the perfect recipe for freezing rain. Snow would melt in that warm pocket of air then fall back into freezing temperatures and freeze on contact. Again, that is the big story here. Ice for an extended period of time will likely lead to power outages. 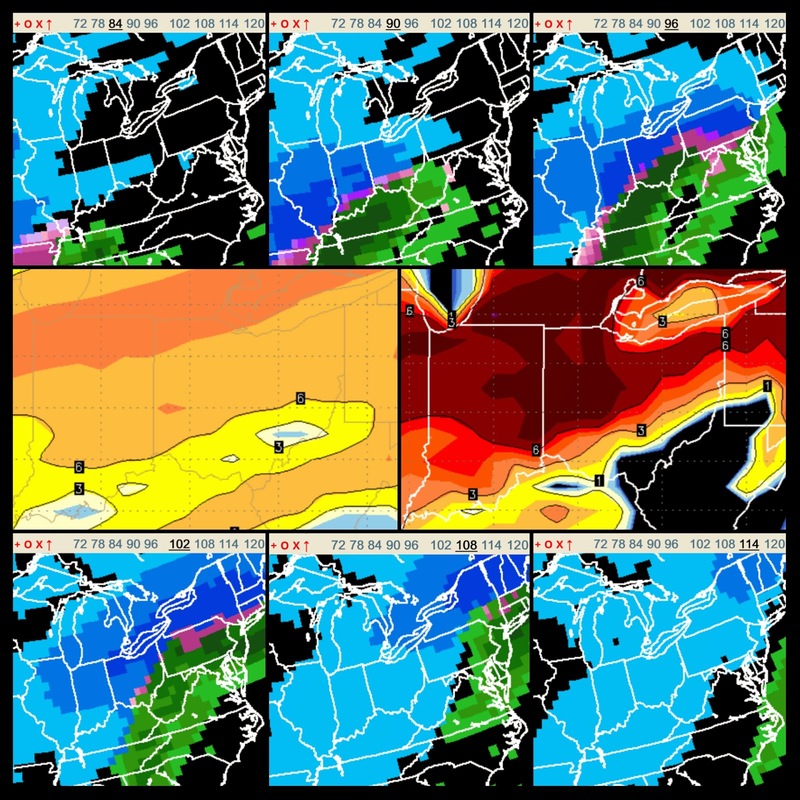 The final image is comparing the GFS and Euro snow totals for the Tuesday-Wednesday system. You can see that they are agreeing more than before. Western and Northern Ohio will likely see a decent amount of snow. You can see for yourself... It is NOT this 20" snow that you have seen about or heard about. As it stands now... (And this will likely change, so please check back in for uodates) Northern and Western Ohio could see 6-8" of snow with some pockets seeing more. There will be a VERY SHARP cutoff line to lower totals along the ice line. As it stands now that line looks to go from Cincinnati to Columbus to Pittsburgh, PA. Areas to the south and East of this line will stay mainly all snow. Along that line will be the mix. As mentioned... The models are still bouncing around a little. So please check back in but wanted to give you and update, in depth look at next week. Have a good one.